Today a new AAA Cards Game #100 starts. 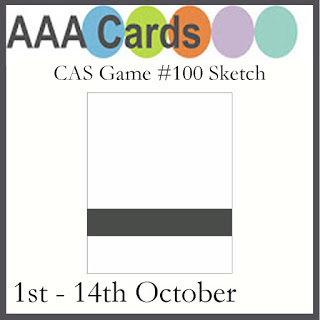 And we suggest using a sketch for your cards. Сегодня в чб AAA Cards начинается новая игра #100, для которой мы предлагаем использовать скетч. I made a card with two very popular stamp sets - Jingle All the Way and Hand Lettered Holiday by My Favorite Things. Для своей открытки я использовала очень популярные наборы штампов Jingle All the Way и Hand Lettered Holiday от My Favorite Things. Please be sure to hop over to AAA Cards to see beautiful creations of other Design Team members. Thanks for stopping by. Have a great day! 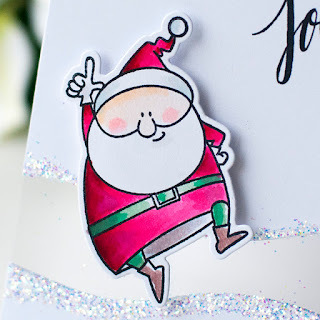 Wonderful use of the sketch and your jolly Santa is so much fun! 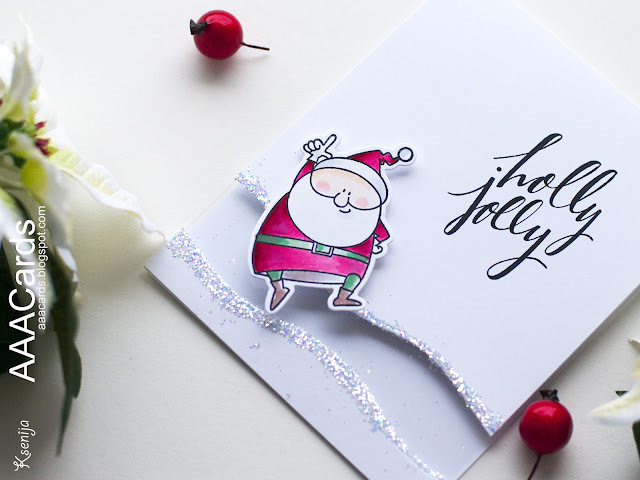 What an eye-catching card, Ksenija! love how you coloured the Santa and all that glitter is fabulous!! What a fun Santa ! A beautiful interpretation of the Sketch with the acetate stripe ! A gorgeous CAS Christmas card ! Thanks for sharing and for inspiring ! Love your design it is just too cute!